I love to cook and create new exciting things on a plate, but I also like to eat some inspiring food made by someone else. Since my cooking is different and weird, although it’s just regular stuff with a small twist, I like to eat funky, weird stuff as well. So I always go to restaurants where they serve food with an edge, food that makes my taste buds go nuts and makes me think. A dish that you know was prepared by a serious food lover. Food with an attitude. Food that makes me think how the hell did they do this? and why didn’t I think of that? It would be absurd to add anything else. Personally I love the place because every plate tells a different story and is a product of playing with tastes and textures. Every time I go there I’m like Alice in wonderland where for relatively normal price I am guaranteed something Zagreb has been lacking in before: innovation, boldness and attitude on a plate. This is not a type of food for spineless, characterless people with my mum cooks the best and I only use salt life motto. Although I can write endlessly, I’ll show you more through pictures which are worth a thousand tastes. 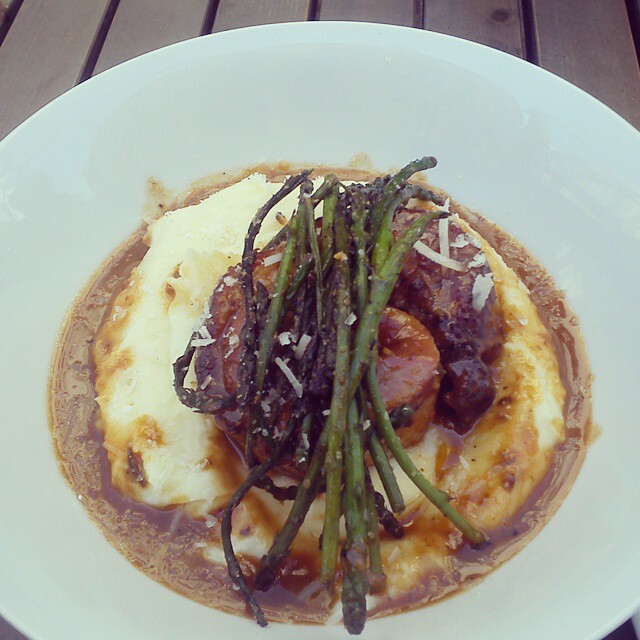 Plate number one was devoured springtime last year (maybe even the year before) and it contained, if I’m not mistaken, file of pork in some fancy sauce and grilled wild asparagus. Juicy and powerful. 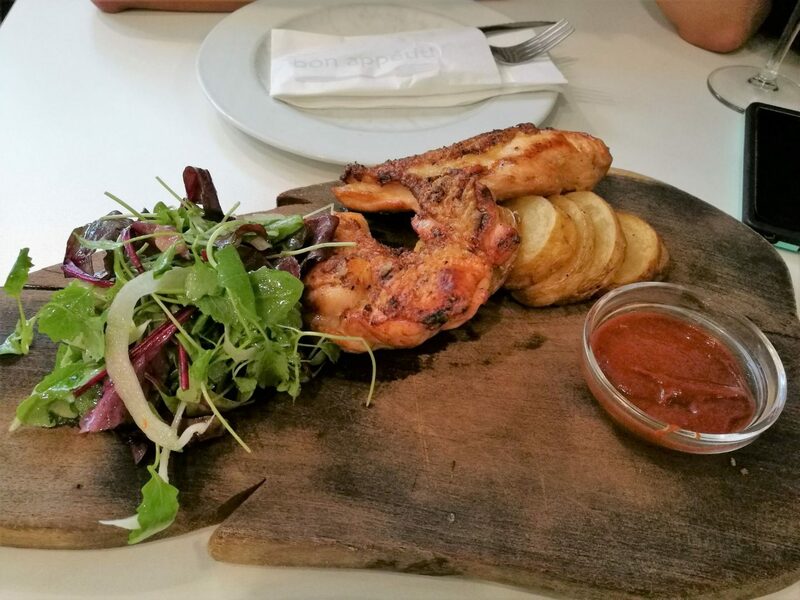 Something from their regular menu: half of chicken with harissa dip, fried potatoes and seasonal salad. Harissa is a north african spicy sauce/spice made from different types of dried chilies which rounds this classic chicken/potato combo perfectly together. 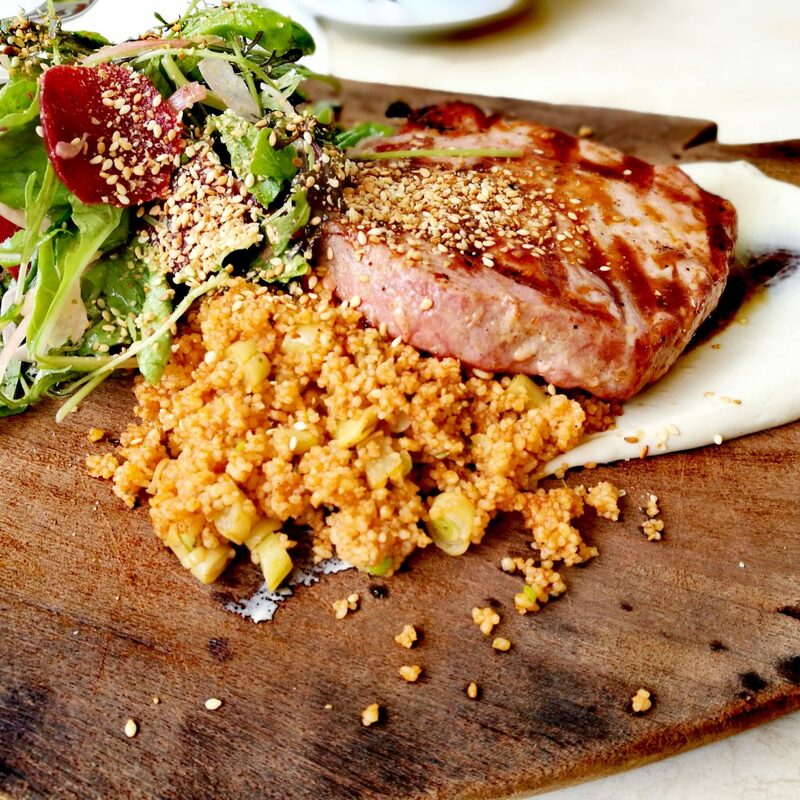 Autumn favorite: tuna steak with marrakech spiced up couscous and mixed baby salad with seeds. 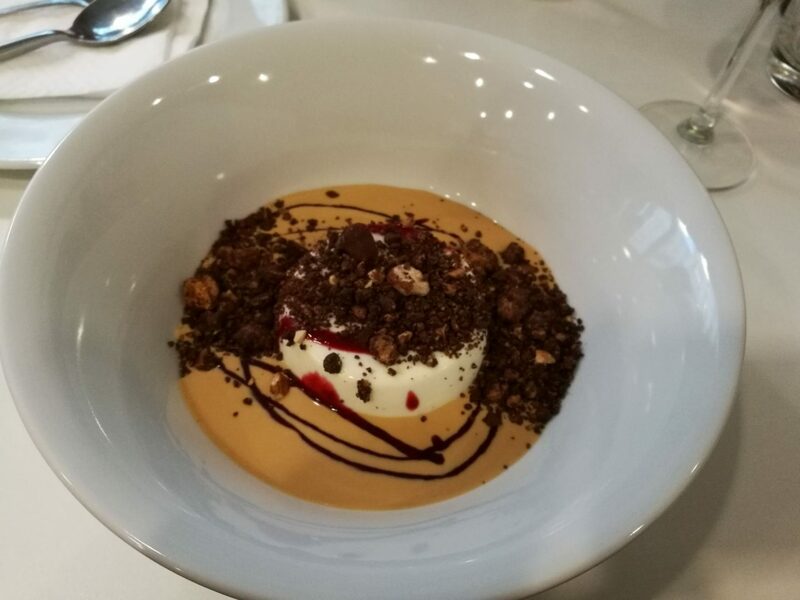 I am not a fan of sweets but this panna cotta in dulce de leche is heaven. So is this cake with couple of layers of custard, hazelnut and dulce de leche. Dulce de leche is a traditional south american caramel cream spread which you can buy in Mundoaka and it will bring your desserts and sweets to another level. They offer three types of Spanish beer Balata and Argentinian wine Dogo. Although the sign says street food it doesn’t mean fast food, so if you’re in a rush go for sandwiches because chefs there take their time, and have all the right to. It’s pretty small and quite popular and always filled with tourists so I advise you to make reservations because a spontaneous decision could leave you hungry. Prices are alright, you get your money’s worth. 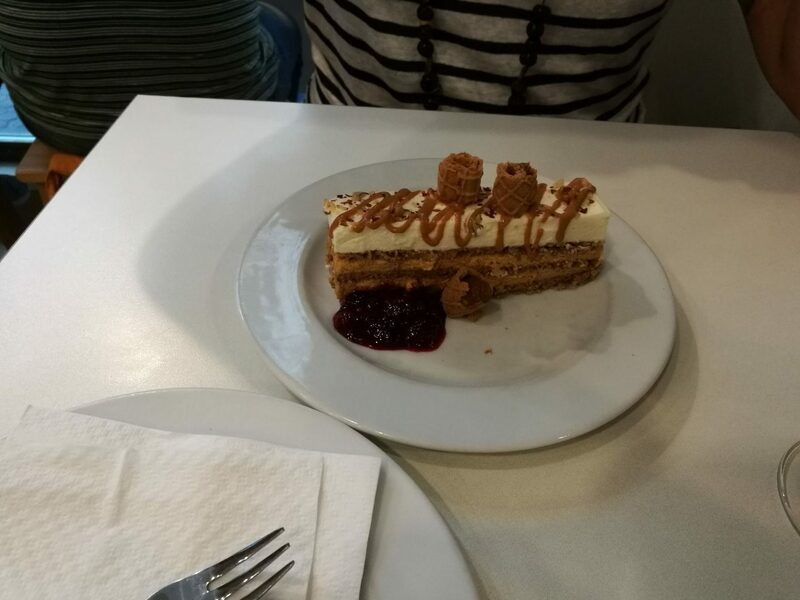 So if you haven’t already, when in Zagreb go to Petrinjska 2 for a delicious experience.